Think of your brand as your reputation. It’s what your clients think and feel — the emotions and impressions that they have about you and your business. The right visuals can support and catalyze your brand, but the visuals aren’t the foundation of your brand. Did you get that? As a visual designer, I’m tellin’ ya — VISUALS AREN’T THE FOUNDATION OF YOUR BRAND! Before you think I'm shooting myself in the foot, please hear me out. If someone asks you how you’re feeling on a good day, how would you answer? You probably wouldn’t say, “I feel like an oak tree, growing strong in the sunshine, with branches outstretched, and leaves glistening in the golden sunshine.” I’ll bet you’re more likely to answer with descriptive words like “I’m feeling strong, capable, energetic.” See the difference? We usually start with language, not visuals, to describe our thoughts and feelings, even if we struggle to find the right words. The same goes for your brand. Once we have the right words, the right imagery is easier to find. It’s so much harder to work in reverse, picking photos or colors we like and then trying to describe them. The right keywords like "strong, capable, and energetic" could be visually portrayed in numerous ways — a ginormous oak tree, a giddy child learning to ride his bike, or a woman on stage addressing a packed house. Once the key language is defined, then we can use additional tools to help us dial in on the right imagery. So a successful branding process must always begin with language and ideas, even though we are ultimately creating a visual package. It’s about finding the right words to express the vibe of your business and to reach the right audience. Starting with VISUALS always gets muddied by personal preference. We all do it. Starting with the right LANGUAGE helps us convey the right ideas before we get bogged down in favorite colors or fonts. So I want to show you two different pairs of inspiration boards, all designed by me so I’m not throwing anyone under the bus here. In each pair, one board is right and one is very wrong, and I’ll show you exactly why. It’s easy to know when clients are diluting their business strategy with personal preference. Their feedback comments sound something like this: "Oh, I don’t like that color. I would never wear that color. You know, my favorite color is such-and-such. I really like pictures of this-or-that. I can’t use these photos on my website.” Yup, I’ve heard it all! I explained to her how this board really is communicating the mood (which is why they’re also called "mood boards") of her business. I took her back to the brand keywords and asked if these were still correct. Yes, she assured me, that was how she wanted her clients to feel. And we had a long conversation about the difference between a business brand and a personal brand, and she was adamant that she did not want a personal brand. But she still wasn't "sold." Pretty different, huh? This is why I want to be careful to call these “right or wrong” boards instead of “good or bad” or “pretty or ugly.” Neither is bad or ugly. Even the wrong one could easily be the right one for a different business. But for HER business, the first one was right and the second one was very wrong. Thankfully she was able to see the difference, the strategy behind the first board, and, with a few small changes, we were able to move forward with the rest of her branding. You can easily see how different this is from what I ended up with. So what gives? First, I began seeing this color palette everywhere I looked which annoyed me to no end. We’re all so easily influenced (even subconsciously) by what we see and read. Also, it felt very heavy and serious — totally in line with “professional, expert, responsible” but not really what I was going for even though, at the time, I didn’t know why. This was the same struggle I had while choosing a new business name. 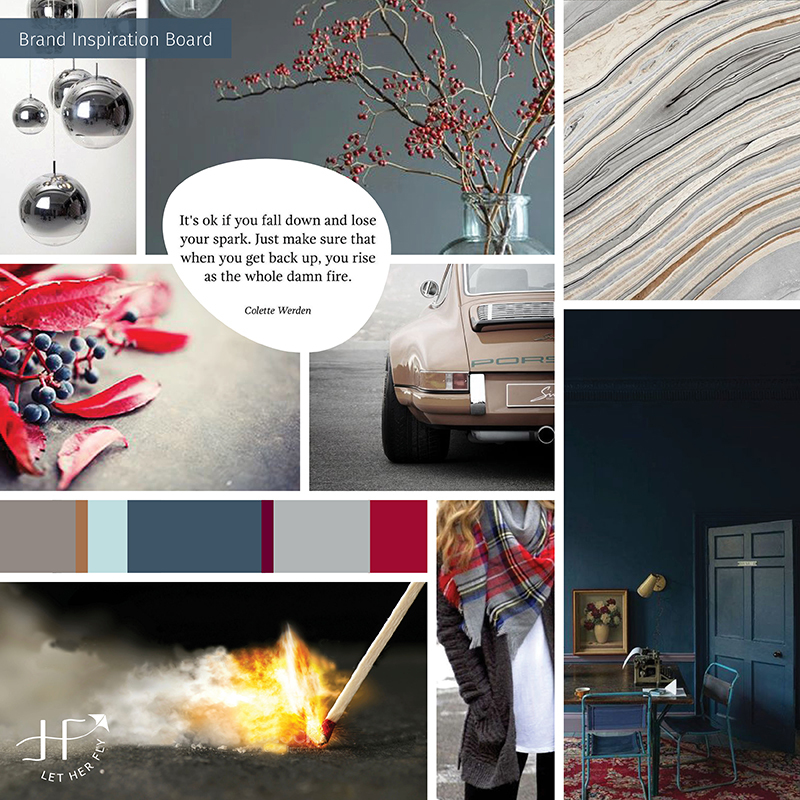 So hopefully you can see how an inspiration board can be stylish and beautiful while still being totally wrong for your business. Creating the right one, built around the right descriptive language, is the foundation for creating a brand identity that you love! And while we’re talking “right vs. wrong", you can totally let go of all that other stuff that’s wrong for you, too. Like feeling guilty for not getting “more” done. Like being afraid to slow down because it’s summer, by golly, and you may have kiddos underfoot or just need a stinkin’ break. (Anyone?) If it’s not right for you (for this season or forever), in the immortal words of Anna, “LET IT GO!” Find what fits you just right, and go with that. 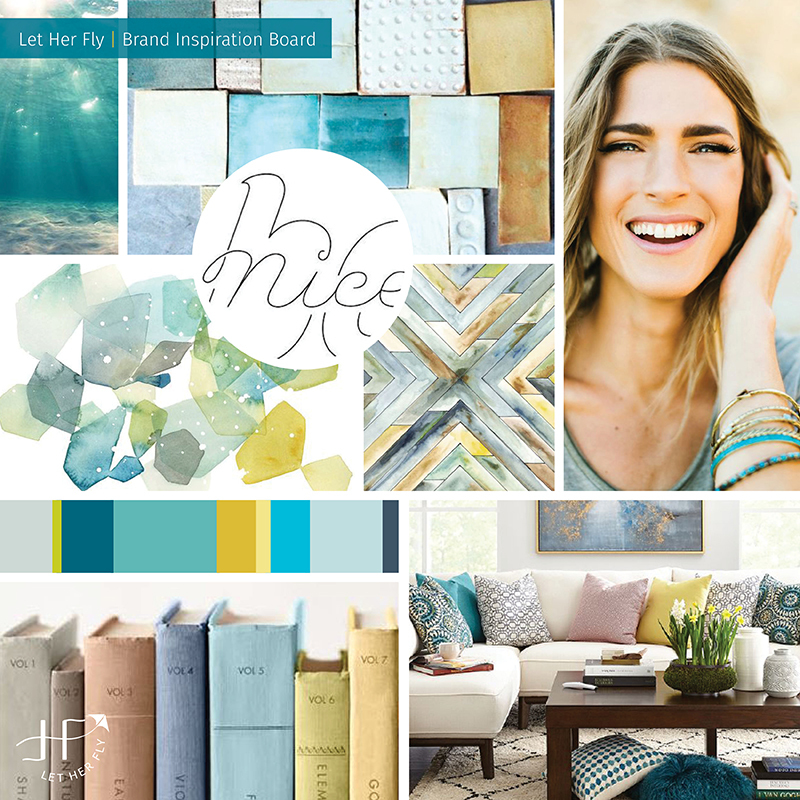 Wondering what the right Inspiration Board would look like for YOUR business? Well, wonder no more! If you’ve been thinking about new branding or rebranding but are afraid to jump in whole hog, now you can purchase my Lift-Off Brand Strategy Package as a stand-alone service! That’s right. You can complete that critical first step of the branding process without committing to the full package. 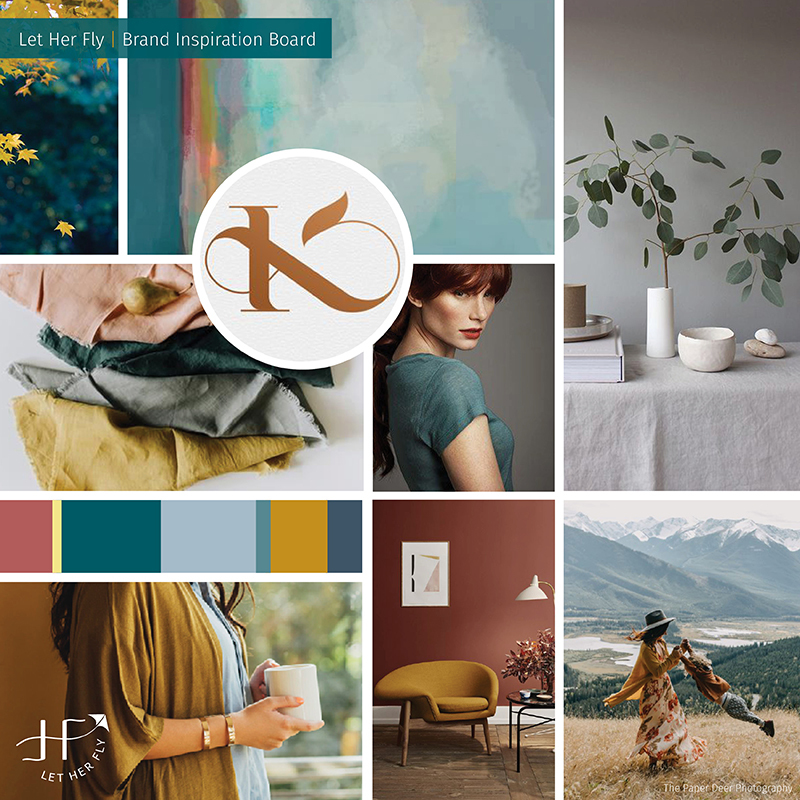 You’ll be ready to fly with a 4-part Brand Strategy Guide (including your own Inspiration Board to swoon over) that will lay a solid foundation for the new brand you’ve been dreaming of. Read all the details here and then let’s chat!